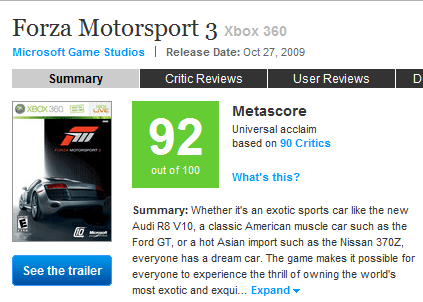 At this time last year, the team at Turn 10 Studios (where I work at Microsoft) was basking in the afterglow of having just shipped a great racing game: Forza Motorsport 3 for the Xbox 360. After working on the game for 3 years, we were very proud of what we’d created, we’d showed it off to the world at trade shows, and now we got to sit back and watch the great reviews (and sales!) start to roll in. After a brief holiday break, we spent 2010 getting back to work on our next project, all the while waiting to see what our biggest competitor (Gran Turismo) would come out with to try to beat us. They’d slipped their ship date numerous times over the past 2 years, practically bowing down to let us waltz into the 2009 holiday selling season unchallenged. 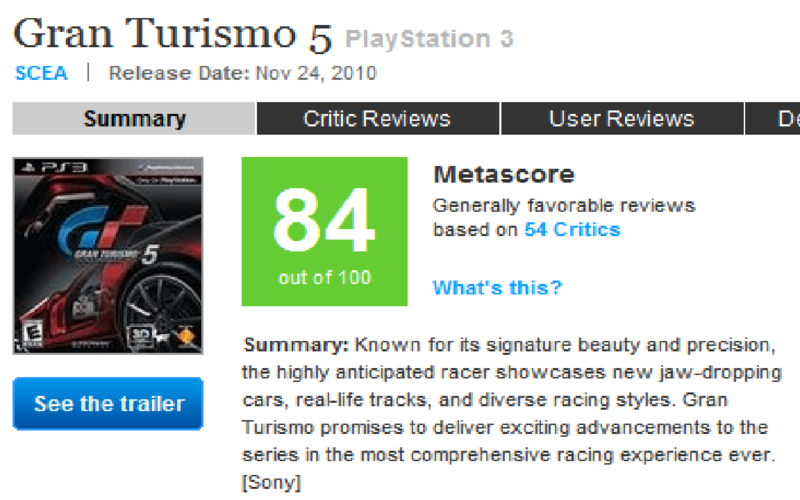 And now, there was a better than average chance they’d even miss holiday 2010 also. But in what I can only imagine was an intense scramble driven by corporate mandates from the highest points at Sony, they finally released their game this November. And so far, they’ve underwhelmed. After “racing” against them for years, could it be that we had overtaken them without even knowing it at the time? Could it be that the fastest and meanest car on the track had run out of gas? According to many of the reviews, yes. We have snatched the pebble from the hand of the master.